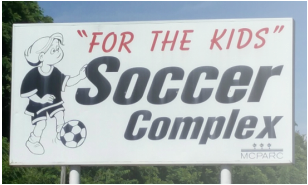 The purpose of the Marion County Youth Soccer Association (MCYSA) is to implant firmly, in the youth of the community, the ideas of good sportsmanship, honesty, loyalty, courage, and respect for authority, so that they may be well adjusted, stronger, and happier youths, growing up to be decent, healthy, and trustworthy adults. MCYSA provides a supervised program of competitive soccer games. MCYSA offers two programs that facilitate development and play for players of all abilities between 4 and 14 years old.